Interest Rate or Interest Rates? In day to day conversation we tend to hear references to “the interest rate”. This is somewhat misleading, as in an economy there are dozens if not hundreds of rates interest between borrowers and lenders. The differences in rates can be due to the duration of the loan or the perceived riskiness of the borrower. To learn more about the different types of interest rates, see What’s the Difference Between all the Interest Rates in the Newspaper? Note that when people discuss interest rates, they’re generally talking about nominal interest rates. A nominal variable, such as a nominal interest rate, is one where the effects of inflation have not been accounted for. Changes in the nominal interest rate often move with changes in the inflation rate, as lenders not only have to be compensated for delaying their consumption, they also must be compensated for the fact that a dollar will not buy as much a year from now as it does today. Real interest rates are interest rates where inflation has been accounted for. 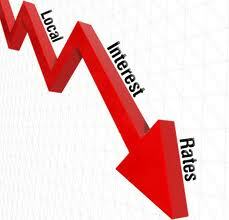 This is explained in more detail in Calculating and Understanding Real Interest Rates. Theoretically nominal interest rates could be negative, which would imply that lenders would pay borrowers for the privledge of lending money to them. In practice this is unlikely to happen, but on occasion we do see real interest rates (that is, interest rates adjusted for inflation) go below zero.